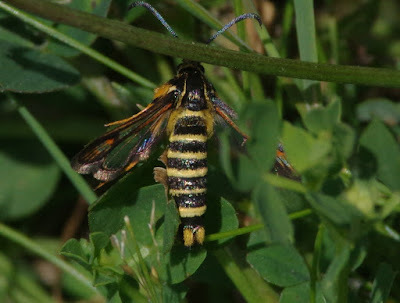 Birds of the Heath: Faking it! 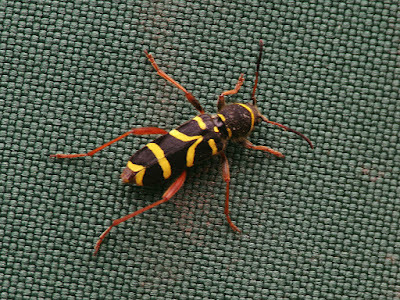 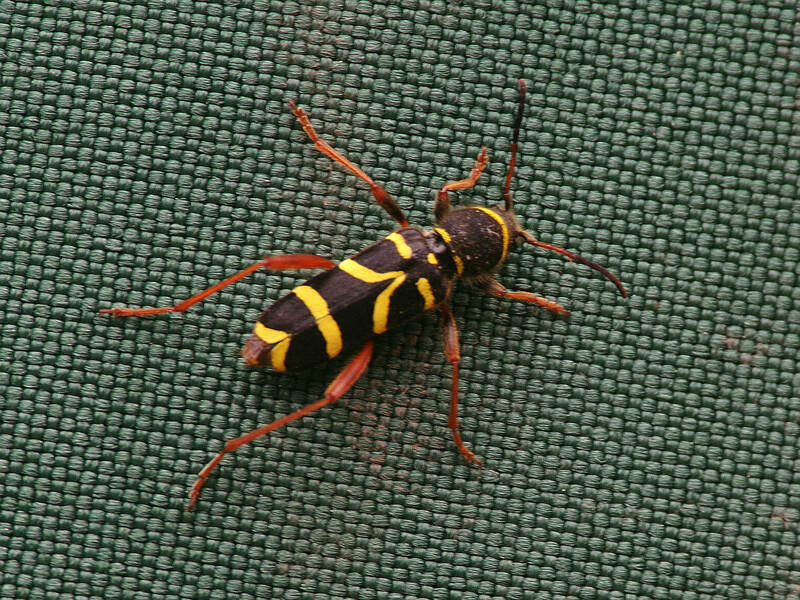 Today I found a Wasp Beetle in the garden: a most attractive insect (one of the 'longhorns' I should imagine) It caused me to reflect on the amazing natural 'force' of evolution and how the distinctive yellow and black striped colouration of wasps and hornets is so widely mimicked throughout the insect population. 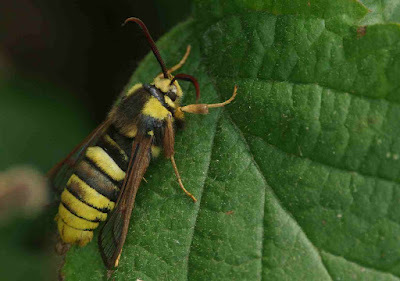 Incidentally, we have several Hummingbird Hawkmoths visiting the garden at the moment: what excellent little creatures they are!